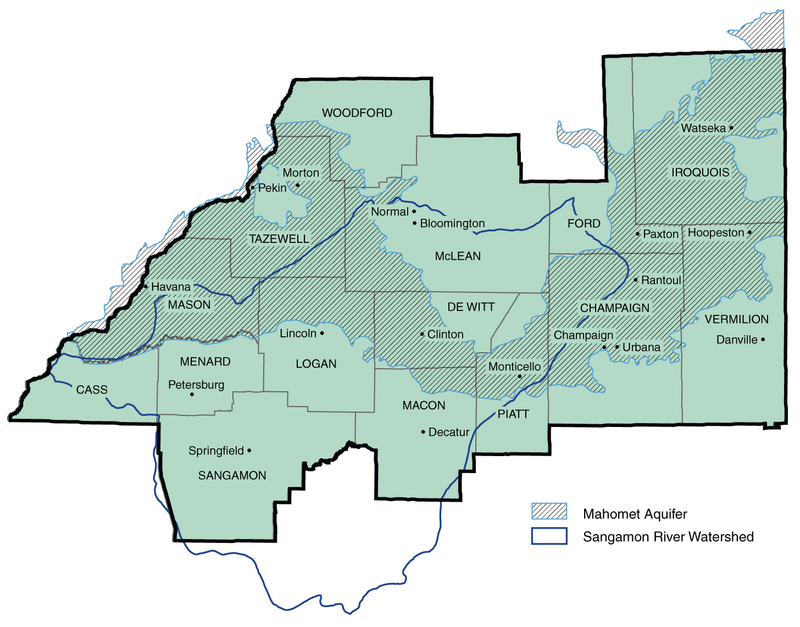 Formed in 1998: MAC was formed in 1998 by stakeholders concerned about the sustainability of the Mahomet Aquifer. Expanded in 2010: MAC expanded its mission in 2010 to include all water resources (groundwater and surface water) in the 15 county area. MAC Area: Cass, Champaign, DeWitt, Ford, Iroquois, Logan, Macon, Mason, McLean, Menard, Piatt, Sangamon, Tazewell, Vermilion, and Woodford Counties. Members: Consortium members come from water authorities, water companies, local, county, state, and federal government, professional groups, and the general public. Not-for-profit corporation: MAC is registered as a not-for-profit corporation with the State of Illinois. MAC is run by an Executive Board and is governed by corporate by-laws. Funding: MAC operates with funding from a diverse group of donors and has received funds from the Illinois Department of Natural Resources, Office of Water Resources.